Eclipse Autos Onestop is an authorised Bosch battery stockist. We supply Bosch three and four year batteries of all types, including AGM. An AGM battery is a high performance piece of equipment that is perfect for vehicles with start/stop engine systems, regenerative braking (a system where energy generated when braking is stored to be used later) and vehicles with high electronic usage. AGM battery technology is safe and reliable, even in extreme hot or cold weather. We can supply and replace batteries for all makes and models of car. If your car has a smart charge system, we have diagnostic equipment enabling us to perform tests on your old battery, to see if the battery is faulty and needs to be replaced or whether it is an issue with the car's charging system. We are proud to be one of the car garage Bletchley drivers trust, no matter how small the task. We can also reprogram batteries to specific vehicle requirements when necessary, a particularly useful service for drivers of newer vehicle models with start/stop engines and extensive onboard computer systems. The battery is essential to the successful operation of your vehicle and as the internal functions of cars become increasingly controlled by electronics, it is only becoming more important to ensure yours is functioning as it should. The battery in your car powers everything from the ignition and the stereo to the air conditioning system, interior lights and more. 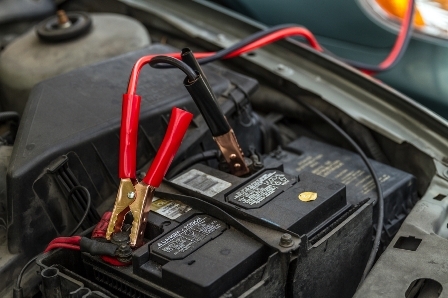 Car batteries do eventually start to lose charge and although you can top up the charge using jump cables, it is recommended that you replace your old battery for a new, more reliable one that will get you everywhere you need to be. Call now to speak to our battery specialists who will be able to advise you on the correct battery for your vehicle or your specific requirements.